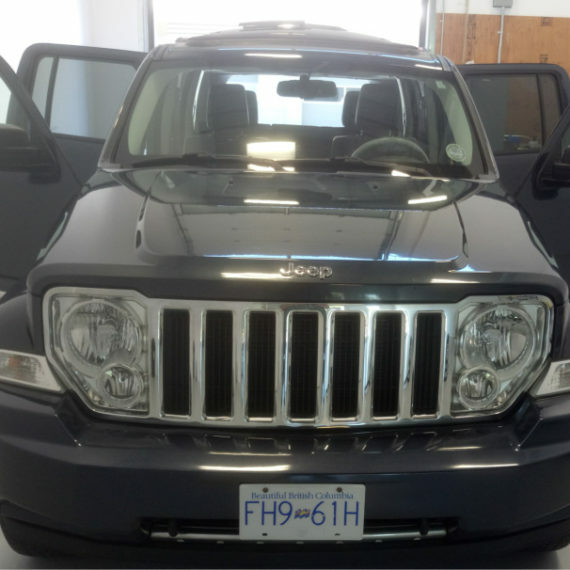 If you’ve ever looked at your vehicle and wondered how you’ll ever find the time to drop it off for detailing and paint correction (meaning you will be without your faithful transportation until you pick it up again), wonder no longer -- Gleamworks offers mobile detailing in Vancouver and Richmond! Vancouver, BC, Canada V6P 3V9. Highly recommend Gleamworks Detailing for ceramic coating. The level of detail, knowledge of product and determination to make your vehicle look as perfect as possible, are all second to none. They stand by their work and will not be happy unless you are. If you want quality detailing with great service, you cannot go wrong with these guys. Gleamworks did an Absolutely professional performance! Igor and Timur was very prompt with their response to my initial inquiry. They were extremely polite and diligent in doing the Opti-Coat Pro Plus on my Tesla 3. They started the work exactly on time as promised, communicated throughout the work in order to keep me informed on any anticipated changes. Thank you so much! Outstanding service! My brand-new Tesla Model 3 had lots of scratches upon delivery. I had never heard of ceramic coating before, but I found few refences to Gleamworks’s Opti-Coat Pro Plus ceramic coating package which includes paint correction. Igor and Timur explained me everything and did an absolutely fantastic job. They have sent me pictures of every step done. My car looks perfect now, so I can tell this service worth every penny I paid. Also, I have never seen a shop cleaner than that. Highly recommend these guys if you need ceramic coating or protection film wrapping services. Huge shout out to the guys here at Gleamworks. From start to finish they were extremely professional with explaining how everything works and made my car look fantastic. I feel like my car is ready for a car show now! Igor and Timur are true masters of their craft and I would HIGHLY recommend getting a Ceramic coating done here. The prices are extremely fair for what you are getting. I was updated with every step of the process with pictures and was even able to get my car back the very same day. When I brought my car in, there was so many imperfections on the paint and after the coating was put on the paint looks like it's made of glass now. 10/10 I would definitely come again. Thank you Igor and Timur. You guys are awesome. Best Service at a very affordable price. I had my brand new Mercedes Sprinter ceramic coated and the result is just too good. I was so happy with their service that I send my older Chevy Express to be detailed so that I can sell it. The Van was sold same day I brought it home.Thanks again Igor and Timur for your hard works and deliver outstanding result. Fantastic work and super great customer service! Will definitely go there again if I need more detailing service. Fantastic job on the ceramic coating! These guys are seriously the go-to ceramic coating specialists here in Vancouver. Heard about them from a friend, and I'm really glad I decided to go with them. The owners walked me through the whole process and answered all of my questions (there were many), and kept me up to speed with how the work was coming along. Loved their work, and I'll be coming back with my other cars / recommending them to friends. Igor and Timur are true professionals in every sense of the word. The quality of work is as excellent as the customer service they provide - every time. They have worked on three of my cars already, and they do the same quality job, regardless if it's a luxury car or daily driver. It's evident that Igor is very attentive to customers' needs, flexible in his approach, and very reliable, completing the work as promised. I would go back without hesitation for more detailing work, and wouldn't be worried to take a Porsche for superior detailing and protection services. If you're looking for ceramic coating or film protection for your car in Greater Vancouver, Gleamworks is the place to go to. 10/10 service. Igor (owner) kept me updated throughout the entire process and took the extra time to explain everything to me. Their shop is one of the cleanest in Vancouver and you can tell they put 100% effort into every car they work on! Fantastic results as well. I would highly recommend them. Amazing results. My car has mirror like finish and this amazing coating that repels water to dirt. Highly recommended. Very professional service.Brought in my new car to get their ultimate PPF package. These folks are top notch! My vehicle looks fantastic and the folks were very professional. This is definitely the place to go to wrap and protect your paint. Will be taking my car for ceramic coating there later this year! This is the first time I use Gleamworks detailing and I want to give Igor and Timur's work 5+ stars. their awesome and professional work literally saved my damaged car paint and my broken heart. The swirl marks my car had were from the process when the dealer prepared the car. I decided to find a car detailing service to fix it. I did a lot of research and I found Gleamworks because of great reviews they have and reasonable price. I showed Igor the paint issue and he explained how they were going to fix it. The swirl marks were all fixed. Igor explained he applied an extra layer of Opti-Seal on the top of Opti-Coat ceramic coating for protection. The car looks just so beautiful and the paint is flawless. I am very very happy about guys awesome and professional work. I highly recommend Gleamworks Detailing. Gleamworks exceeded all of my expectations! I had the Opti Coat Pro Plus package applied to my Audi a few months ago. So many places with luck of customer service that it has unfortunately become the new normal. Not the case of Gleamworks. During the initial estimate/consult Igor took the time to explain the benefits of the Opti Coat coating, as well as the limitations to set realistic expectations. He also went over maintenance/care of the coating. I got the coating so I wouldn't have to wax my car every 2 months, but I was blown away by the results. It looks even better than when it left the showroom. Ceramic coatings are expensive so I was of which/who to go with. I chose Gleamworks because of the number of positive reviews on google, they have them for good reason. I will definitely be back because of the great job and great customer service. Trustworthy and high quality business! Igor and Timur are the BEST! I had a couple issues on my paint . Igor suggested best solution, and the issue is gone. 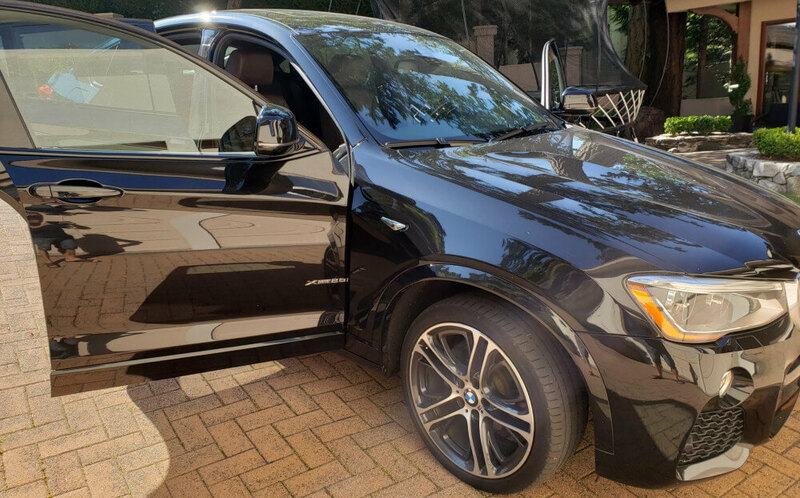 They are incredibly detail-oriented and go the extra mile to ensure client satisfaction!They applied PPF and Ceramic coating on my car and it was ready for pick up in 3 days! Would recommend to anyone! Great bunch of guys here. They are easy to work with and sure knows how to make a car look good. Friendly professional staff. Made my car look new again. Highly recommended. Great bunch of guys. Great service and prices. Great service at Gleamworks detailing with amazing results! I went with Opti Coat Pro+ package after reading a lot about it. It's much easier to wash and keep it clean. Got a couple products from Opti Coat lines for maintaining the same shine look. Igor also was able to pick up my car and dropped it off and didn't even charge extra for that! Highly recommend Gleamworks to everyone! Very personal customer service. In my experience, not many businesses provide this level of support. Igor was very accommodating and friendly from the first time I met him. Great business to deal with, that provides the whole detailing package for your vehicle (car wash, detailing, ceramic coating, paint protection, polishing, etc). Thanks! Absolutely fantastic work! I got Opti-Coat pro plus package and my car looks better than when I got it from dealership. I love that I don’t have to wash my car so often, and when I do process is so easy. Highly recommend gleamworks if you want protect your vehicle and have mirror-like shine. I was looking for a local shop to apply ceramic coating on my truck. I'm glad I found igor at Gleamworks Detailing in Vancouver. Not only did I find comfort in knowing he was an authorized dealer and trained with his products but he exuded top notch professionalism and customer service. He did an outstanding job on my truck, inside and out , it looks amazing. I will continue to get monthly detailing from him or anyone at his shop, as I highly recommend it to anyone else wanting Superior workmanship. My Mercedes is looking better than new. Thank you guys! Copyright © Gleamworks Detailing & Ceramic Coating | Site by Websessive.